Because of the warm and lush ecosystem of this place, and because we make a point of not using pesticide in management, from May to the end of October, insects like spiders, caterpillars, mosquitos and bees may accidentally get into our guest rooms. It is also located in one of the historical sites of stones used for building the Edo Castle in Edo period which was lasted fbor 400 years by means of Feng Shui (Chinese system of Geomancy),and accordingly it is famous with one of “Famous Power Spots”. The site of Toyoda Music Saloon is supposed to be the historical place of an old Stone Court. Notice : We are applying to our government to be one of Japanese National Historical Sites. 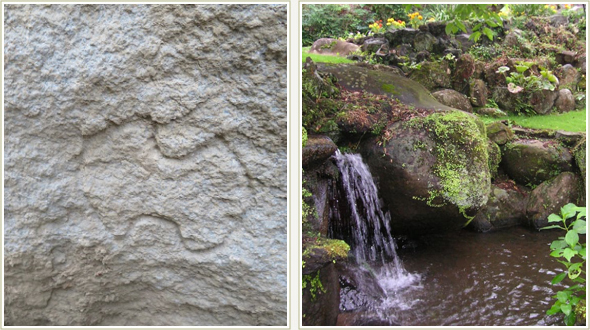 The site has a stream and breeding water flows from tortoise carvings into ponds which fills the area with fresh ozone.